​Common Ground Alliance (CGA) started National Digging Month to bring awareness to the importance of following safe digging procedures. This April marks the 10-year anniversary of its 811 call center. Over the last 10 years, the 811 call center has helped ensure the safety of people carrying out digging projects nationwide. “With Conti’s high values standards, we strongly support National Safe Digging Month and what it stands for. As a company, we execute each project with stringent safety practices. Calling 811 before we dig helps keep our employees and the community safe,” said Jay Price, Vice President of Business Development for Conti Energy Services. There are billions of miles of buried utilities beneath the surface of the earth that are vital to everyday living like water, electricity and natural gas. Even the simplest digging projects can become a hazard by causing damage to unknown underground pipelines, wire and cables. 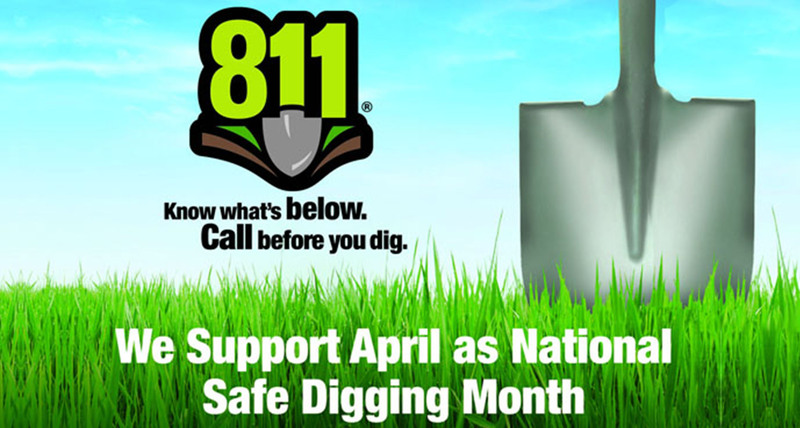 Calling 811 before each dig helps ensure safety and avoid incidents that could include injuries and fatalities.